JERUSALEM — A Palestinian stabbed a Jewish settler to death in the West Bank on Tuesday — the first fatal attack on an Israeli there in more than a year — and the killing triggered retaliatory violence in both the West Bank and Jerusalem, a police spokesman said. In the Gaza Strip, an Israeli airstrike killed an Islamist militant who allegedly was involved in the recent firing of rockets from Egypt’s Sinai Peninsula toward the southern Israeli city of Eilat. a) why not "West Bank Jew" already? why the "settler"? b) the Pal. who murdered the Jew was not a "militant", like the Gazab? c) the Gaza "militant" was only "allegedly" involved? if the Boston brothers, the Islamic terrorists, despite for 10 years or so residing in the US and going to school there where they actually teach civil rights and liberties and democracy and tolerance, couldn't absorb those values, how long do we need wait until these kids are rid of terror training and an attitude of hate toward the Jews before there'll be peace? And how do I know Islamic Jihad is not a language? In early 2011, the Russian FSB internal security service intercepted a conversation between Tamerlan and his mother of a radical nature, officials confirmed to Orr. The two discussed the possibility of Tamerlan going to the Palestinian territories, but he told his mother he didn't speak the language there, officials, who reviewed the information Russia shared with the U.S., told the AP. But then again, most Pals. speak English. From where is this taken? 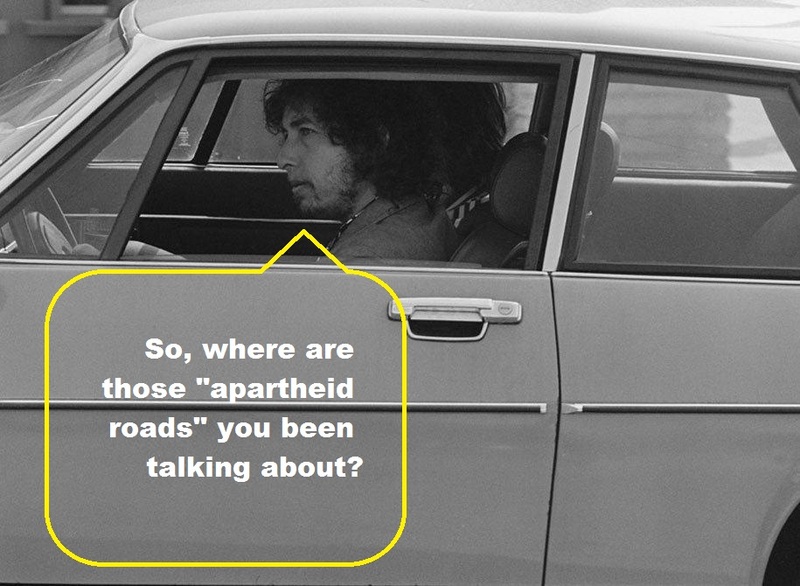 As the media pumps it, all the problems of post-1967 Israel, you know, the "territories", the "settlements", the "occupation", the "settlers", are what are at the root of the "conflict". The documents, which have a remarkable contemporary resonance, reveal how British officials looked on as Jewish settlers took over more and more Arab land. The British government knew from the moment it planned to withdraw its forces from Palestine more than 60 years ago that partition of the territory and the founding of the state of Israel would lead to war and defeat for the Arabs, secret documents released make clear. 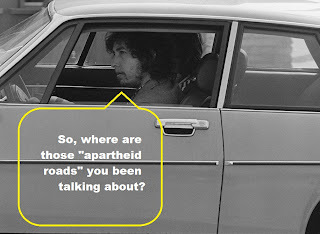 So, were those "Jewish settlers" taking over land - how? Militarily? Or simply purchasing it? The "British officials" simply "looked on"? But wait, wasn't the purpose of the Mandate to reconstitute the Jewish national home? True. But in 1939 the British reneged on that Mandate, avoided the Geneva-based League of Nations Mandates Commission reprimand since war broke out and subverted the legal rights of the Jews. After an increase in violent attacks by the militant Zionists of the Stern group and Irgun, British officials reported later in 1946: "Arab leaders appear to be still disposed to defer active opposition so long as a chance of a political decision acceptable to Arab interests exists." But they warned: "There is a real danger lest any further Jewish provocation may result in isolated acts of retaliation spreading inevitably to wider Arab-Jewish clashes". ...well, perhaps because the Jews were obtaining their lawful and legal rights? A country? Even a partitioned one (after the first partition of 1921 forcibly incorporated in the Mandate by the British in 1922 when Transjordan was separated from the Jewish National Home territory)? The report on "Great Britain and Arab Nationalism" was completed at the height of the Second World War, but remained secret for 70 years until its release at the National Archives this week. AH Hourani, who compiled it, found evidence of an "obsession with Zionism" among Arab nationalists, out of a misguided belief "that it aims at dominating all Arab Asia". He wrote of the belief that the allies were "committed to support of Zionism" over Arab aims, and noted "widespread feeling in favour of Germany"...Mr Hourani wrote that the Arabs were by 1943 more disposed to accept the British White Paper that they had rejected in 1939 "by a tactical blunder"...Mr Hourani delved into the structure of Arab nationalism across the region, noting that there was an "absence of constructive thought and organisation". That last bit, which is an earlier formulation of Abba Eban's quip that the Arabs never miss an opportunity to miss an opportunity, is an example of what is all wrong with those who support the Arabs against Zionism for it indicates that the conflict is not about land, or borders or the "settlers" but is about the very existence of a state of the Jews. And it so much so that they would favor Nazi Germany in their cause. Even a French court agrees. And its decision uses all the "Zionist" arguments. Just in case anyone out there is wondering - where is Medad and why isn't he posting? I'm on a family visit to NY. Enjoy the respite from my blogging. Q: I came hoping that you would have a map for us, for Israel. Given the mood of Israelis, they have hunkered down, and the Arabs’ love for freedom is rising. Can we have a peaceful solution? The Soviet Union and Iran were internal transformations. But here it is not confined to Israel. Do you see, short of a catastrophe, that there will be changes, given the mood of both Israelis and Arabs? A: Let me give you something of a map that might not be catastrophic. What could Israel move toward now? Let’s imagine that we strip away this Zionist ideology, these preconceptions, these categories that are a hundred years out of date, and look at the reality. You see opportunities, such as a two-state solution, with a map that involves land swaps and a real Palestinian state with Al Quds as its capital. You see economic opportunities flowing from Europe, the U.S., and Saudi Arabia. But this would require a sharable narrative. When Ben-Gurion and Sharett agreed to German reparations in the early 1950s, they forced Germany in secret negotiations to acknowledge what actually happened in the Holocaust before they would agree to take the German money. The amazing thing is that although Adenauer did give a speech including the paragraph they agreed on, the speech said almost nothing else that was true. He said the German people abhorred the Nazis and that most of them fought to rescue their Jewish brethren. But Ben-Gurion and Sharett still were able to use that little bit of truth about the Holocaust in the speech to take the money and build the Jewish state. It’s not true that the Palestinians need an admission of the whole truth by Israel, but there has to be a sharable narrative. Once you have that, other possibilities that have seemed impossible can open up. There has to be generous refugee compensation, which would be obvious to anyone who wasn’t terrified about an end to the country because you thought the principle of Palestinian return was too difficult to admit responsibility for. You would have to agree, instead of accepting Ben-Gurion’s view that Israeli Jews need nuclear weapons to survive another Holocaust, that nuclear weapons, whether in Israel’s hands or anyone else’s hands, are a threat to the peoples of the Middle East. You would have to agree that Israel could use its nuclear capacity to arrive at a non-nuclear, non-WMD Middle East, and avoid this threat. If this was indeed a religious site, a sacred shrine, then let them pray. Why are they permitted political activity? There is the discrimination. Not only are Jews prohibited from expressing their religious feelings in prayer, with the excuse that this will disturb the public order, but Muslims can treat the place as a downtown rally square. 1 - the statement attributed to a member of the Knesset Mary Ragb (Miri Regev) of the Likud Party is unprecedented and unacceptable. 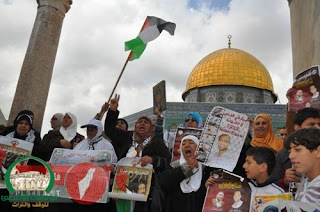 2 - it deplores daily incursions carried out by the extremists in the Al Aqsa Mosque, under the protection of the Israeli police, which aims to desecrate of the Al-Aqsa Mosque and call on the Israeli government to re-key (lock?) the gate to the Islamic Waqf whose right to supervise, manage and restore the mosque on behalf of Muslims . 3 - We hold the right-wing Israeli government as fueling the conflict and provoking the feelings of Muslims, all Muslims across the globe, as well as the sanctity of Al-Aqsa Mosque Mubarak - the first qiblah and the second of the two mosques and the third of the Two Holy Mosques. 4 - We emphasize our divine right to the Al Aqsa Mosque and will not compromise, whatever the circumstances and conditions for the Al-Aqsa Mosque is not subject to political negotiations for it belongs to the decision of the Lord of the Worlds. "And Allah has commanded, but most people do not know,"
I have been getting feedback from those more knowledgeable in demographic studies and I am sure there will be a proper academic response to Ian Lustick's article I posted here. Yaakov Faitelson has already reacted with a long note (he had already been working on an article which will be published soon). a) while Lustick notes "bias" of Ettinger and others, his own political bias, such as in these throwaway remarks - "Realizing that most Israeli Jews fear, suspect, or loathe Arabs" and "Their response was to exploit opportunities to expel and prevent the return of up to three quarters of a million Palestinian Arabs from the territory that became the State of Israel in 1948", are quite apparent. b) he engages in delegitimization of his opponents as Ettinger and Sohar before even considering their arguments by highlighting their 'right wing credentials'. Left wingers escape being identified as such (for they have no political bias?). Palestinian statistics are presented - by the Palestinian Authority officials and pro-Pal. enthusiasts - as facts and we are to assume that they are rock solid with no doubts because those researchers are neutral, correct? c) he accuses those he opposes as having no background in demographics, an odd argument. Actually, any smart person with an inquiring mind and reading comprehension can be fairly self-taught. His critical tone is unbecoming. d) although he credibly argues against ZSW's methodology, in the end, he does concedes that ZSW were at least partially correct in that there was a population gap. Thus, extensive fact-checking is required which means we really are unsure as to what the real numbers are and what they mean and what they point to. e) a real problem of his is that statistics aren't cited much after 2006 and most of the articles and other data he bases himself on are from 1993-2006. Since the demographic situation undeniably has steadily improved in favor of the Jewish population since 2006, it could be argued that the approach of the ZSW is on the mark. f) The fertility rates are truly important. Their effect is delayed but they are important for the future. Yes, youthfulness of the population must be taken into account. But this, ultimately, works in the Jews' favour. Consider the graphs here and also here. At first glance, the graph relating to the Jewish population displays aging and that of the Arabs shows a youthful character, the bottom of both graphs shows the opposite trend. Note, the ratio is roughly 3:1 Jews in the 0-4 age bracket. The bars are continually "bubbling upwards" and in 20-30 years time, the 0-4 age bracket will be in the fertile region. What the fertility rate is at that time will matter a great deal. More pressingly, the bulge in the Arab pyramid is from 5-14; thus, the fertility rate in ~5-15 years is also important, and it will decide how strongly the bulge Lustick mentions will be able to perpetuate in future generations. Assuming current trends, it won't matter much. g) The problem with Lustick's argumentation is that he makes his "technical analysis" of Ettinger-Zimmerman Project on the basis of wrong argumentation by heavily quoting heavily Arnon Sofer and others who made their analysis based on statistic data extrapolated to the future. He brought nothing new based on his own research based on independent data base sources, while ignoring the real development of the demographic trend and therefore his conclusions do not hold water. He doesn't recognize the professionalism of such well known and awarded demographer as Nicolas Eberstadt and tries to diminish the quality of his expertise by claiming that Dr. Eberstadt is specializing on the Far East which is simply not true. g) in contrary to Lustick, Faitelson did make his own independent analysis taking in consideration the dynamic development of the statistical data running through the time. His findings were shown to be correct from years ago especially his point that the Arab Fertility Rate will start to decline towards convergence with the Jewish in the first two decades of the 21st century. This is now recognized also by Dr. Ahmed Hleihel, the Head of the Demographic department of the ICBS, who is a decent professional researcher and honest scientist and an Israeli Arab so his opinion carries even more weight than of the Jewish one. f) what most be given great weight is that the demographic trend in the Land of Israel favors the Jews. Prof. Roberto Bachi's projection from 1972 has had to be postponed some 10 times already as to when the Jews will become a minority, from 1990 and up to 2028. If his projection was consistently wrong, what does this mean? It could mean that the time favors the Jews as shown for the last 26 years. 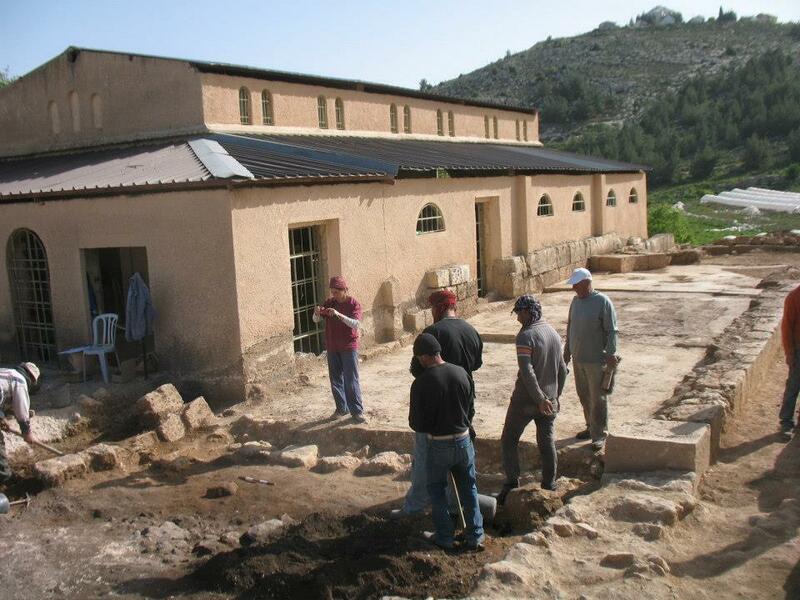 One of the earliest churches ever to be excavated in Israel was recently discovered in the archeological site of Tel Shilo, in Samaria. The church, dating from the fourth century C.E., was discovered...[and]...the discovery...was accidental. The church was uncovered when rainwater, which was abundant this winter, seeped into the ancient basilica at the archaeological site. In efforts to prevent the water from causing damage to the basilica, it was decided to dig a drainage ditch. The workers who dug the ditch accidentally discovered three mosaics that had been incredibly preserved, which led to the discovery of the ancient three-room church. Simply, the "Danish Basilica", first uncovered in 1929, was found to be larger than thought to its south, west and east. bloody repression...against the Byzantine Christian rulers and the mass conversion to Islam in the Early Muslim period of Palestine. Tensions between the Christian’s and the Samaritans grew dramatically. In 484, the city of Nablus became the site of a deadly encounter between the two groups, provoked by the Christians intention to transfer the remains of Aaron’s sons and grandsons Eleazar, Ithamar and Phinehas. Samaritans reacted by entering the cathedral of Neapolis, killing the Christians inside and severing the fingers of the bishop Terebinthus. Terebinthus then fled to Constantinople, requesting an army garrison to prevent further attacks. As a result of the revolt, the Byzantine emperor Zeno erected a church on Mount Gerizim. He also forbade the Samaritans to travel to the mountain to celebrate their religious ceremonies and confiscated their synagogue there. These actions by the emperor fuelled Samaritan anger towards the Christians further. Thus, the Samaritans rebelled again under the rule of emperor Anastasius I, reoccupying Mount Gerizim, which was subsequently reconquered by the Byzantine governor of Edessa, Procopius. A third Samaritan revolt which took place under the leadership of Julian Ben Saba in 529 was the most violent. Neapolis’ bishop Ammonas was murdered and the city’s priests were hacked into pieces and then burned together with the relics of saints. The forces of Emperor Justinian I were sent in to quell the revolt, which ended with the slaughter of the majority of the Samaritan population in the cities. We are waiting the results from the laboratory check. MP Ahmed Abu Halabiya, head of Jerusalem Committee in the Palestinian Legislative Council, warned of the continued Israeli tunneling under and around al-Aqsa mosque. During a press conference in Gaza on Thursday, Abu Halabiya stated that the Israeli occupation escalated its Judaization schemes in the occupied city of Jerusalem, calling on the Arab and Islamic nation to provide the necessary financial support for the Jerusalemites' steadfastness. The MP pointed out to the Israeli continued violations and crimes...against Jerusalemites' home and the digging of tunnels under al-Aqsa mosque. He added that the Israeli escalated and unprecedented Judaization process in the occupied city aims to falsify its Arab and Islamic identity and to blur its religious, humanitarian, historical and cultural heritage. ...Abu Hamdiya called on Jerusalemites to continue "their heroic steadfastness" to confront the Israeli plans, and called on the Arab and Islamic media organizations to highlight Jerusalem's issue and to expose the Israeli violations in the holy city. “Any non-Muslim person has no right to pray at the holy Aqsa Mosque, and if the said tour was organized and new arrangements for prayers were created, such situation cannot pass unnoticed, and will ignite the whole region and bring dire consequences,” Abu Arar said on Saturday. Yes, the Wicked Witches of the Waqf! Michael Puah of the 'Jewish Leadership' Likud faction complained to the police of repeated verbal and physical harassment by Muslim women on the Temple Mount, and the police have arrested and distanced some of the culprits, caught on worshippers' cameras. Were there no fanatic fundamentalist extremist Jews there (unlike what happened at Boston)? Hundreds of athletes on Sunday braved freezing rain to take part in Bethlehem's first-ever marathon which was won by a Palestinian runner from the West Bank town of Jericho. Some 500 runners, half Palestinians and half foreigners, took part...The full marathon was won by Abdel Nasser Awajme, a Palestinian from Jericho...His racing time was to be officially announced at a news conference during the afternoon. Around 100 competitors took part in the full 26 miles, while another 150 joined the half marathon, organizers said. Some 250 joined either the six-mile or three-mile races. Another 26 runners from Gaza were denied permission by Israel to travel to Bethlehem to join the race. Sunday's race, which is called the "Right to Movement Palestine Marathon" and is the brainchild of two Danish women athletes, takes runners on a tour of the hilly southern West Bank city which Christians believe is the birthplace of Jesus. How Was Israel Involved in the Boston Terror Operation? ...American's trust in Homeland Security, and even the FBI, has been severely tarnished. The long series of FBI manufactured terrorists operations organized from beginning to end using proxy informants who brought them easily influence people on the fringe of the Muslim community is a scandal. This includes a court system who put a stamp of approval on process. The FBI is now held in contempt by much of the American counter intelligence community as wasting their counter terrorism budget by using these stings to justify their budget. The FBI know hows deeply Israeli Intelligence has infiltrated America's institutions. This wasted phoney sting funding could have been used to begin rolling back the systemic threat of Israeli terrorism in America. But alas, the FBI has shown it does not have the stomach for that. ...former director Michael Chertoff's airport scanners which were also a failure...and from an Israeli contractor I might add. Then came the Fusion Centers who joined the waste fraud when they began finding phoney terrorists, like veterans, in an attempt to continue justifying their paychecks. The 500,000 stored plastic coffins rattled a lot of people as did the huge amounts of hollow point bullets and 2700 armored vehicles. But as I mention in my April 18th Viewpoints, added to the above mentioned horrors, most American were not aware that Chertoff set Israeli contractors up to be the opposing forces in DHS security drills. This put them in a perfect position to learn how to penetrate our security, and they do. Since Sunday's bombing the DHS security contractors from the Craft Group were front and center in many of the finish line are photos, but always in the right place at the wrong time. Because they all wore the same clothing they were easy to spot, and were obviously working crowd security on the street. One pair Craft people in particular was spotted on station about fifteen to twenty feet left of where the first bomb went off. They obviously did not intercept it, but did manage to cross the street in time to suffer no injuries. Further photos show their satellite communication van pulling up and their whole team gathering around working their phones, talking shop, and not lifting a finger to assist in any of the victim triage or evacuation. In fact they acted like the bombing had nothing to do with their work there, after it had happened anyway. But there was on small problem. One photo clearly showed a large fragment of the first bomb bag which matched the Craft backpacks perfectly. This was so obvious we all awaited what corporate media would report, and that turned out to be nothing. The Craft contractors were completely censored out of their coverage despite their critical positions on Sunday and strange nonchalant behavior and failure to stop the bombs being dropped right under their noses. Anyone planning to use these guys for security, be sure to ask for a big discount. Previously, I noted Jordan's butting in. The Minister of Awqaf and Islamic Affairs, Dr. Mohamed Noah, warned of the consequences from the information reported in the Israeli media that the President [???] and members of the Knesset Interior Committee will go to the Al-Aqsa Mosque to discuss the possibility of the performance of the Talmudic Jews to their prayers in it. ...these statements provoked resentment of Muslims all over the world, which could lead to spark a religious war in the region. 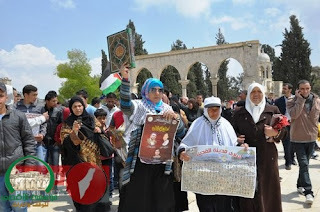 He stressed that these statements are serious, that they will lead to negative feedback as well as a strong, affirming the sanctity of Al Aqsa Mosque in all precincts and mosques and everything in it, above and below ground, and should be rejected. located under the guardianship of the state of Jordan confirmed by the Jordanian-Palestinian agreement recently signed to protect and defend the Aqsa. Prime Minister Abdullah Ensour on Monday said that the recently signed Jerusalem agreement has no hidden agendas or any unannounced intentions, as claimed by some recent news reports. He was referring to columnists who saw that the agreement, which renews the Hashemites’ role as custodians of the holy places in Jerusalem, was a prelude to a confederation between Jordan and Palestine. The agreement, signed by His Majesty King Abdullah and Palestinian President Mahmoud Abbas last month, gives Jordan the legal means to defend Al Aqsa Mosque in Jerusalem. Inaugurating the Cultural Quds [Jerusalem] Week, organised by the Middle East University, Ensour underlined that the agreement stipulates the full sovereignty of the Palestinian state over East Jerusalem and its holy sites, and warning against any parties attempting to undermine the strong Jordanian-Palestinian relations. That’s why a bomb can’t beat us. That’s why we don’t hunker down. That’s why we don’t cower in fear. We carry on. We race. We strive. We build, and we work, and we love—...we come together to celebrate life, and to walk our cities, and to cheer for our teams. Not on Friday, we didn’t. The Rex Sox and Bruins games were cancelled. Bostonians didn’t carry on. They stayed at home, if not “cowering” then at least “sheltering.” They couldn’t even go to church and pray for divine intervention. Most religious services had been cancelled, too. I heard that the authorities...had stopped the trains running between New York and Boston...airspace over Boston was closed...Even buses were halted...the streets of the leafy suburb overrunning with enough armed police, federal agents, and national guards to invade a small country...[but] Governor Deval Patrick... order[ed] nearly a million people in the Boston area to abandon their regular lives for a day and stay indoors, or, as the official order put it, “shelter indoors.” Those who didn’t hear about the edict quickly discovered something was up when they ventured outside. Almost the entire city was abandoned. Offices, stores, and gas stations were all closed. At this previous post, I related to the new article on demography in Israel, from the Jordan River to the Mediterranean Sea, that is, the state of Israel as well as the regions of Judea and Samaria. Written by Prof. Ian Lustick, it seeks to undermine the recent prognostications that the so-called "Demographic Threat", that a Jewish minority is the result of the continued administration of the territories, and for sure their incorporation into Israel proper. I alerted some of the persons involved and one, Yaakov Faitelson, has sent me the following article as a first response. I am proud to serve as a platform for the discussion of the issue. I will not respond on the same level of the “quality” of Ian Lustick. He continues simply to use and to manipulate the same sources such as Arnon Sofer, Sergio DellaPergola and others, despite the fact that their demographic projections and estimates published during last 30 years had crashed to the dust. Twenty-six years ago I was cited by Dan Petreanu in his article "Demography: Men or Myth" published by Jerusalem Post in August 16, 1987: "But neither Arab population, says Faitelson, will become a majority, because the decline in the Arab death rate in the administrated territories will soon reach a plateau, whereas their birth rate will continue to fall. Thus, their rate of natural increase will decline while that of the Jews will increase slightly". And further: "Faitelson predicts that the Israeli Arabs rate of increase will eventually reach that of the Jews - today about 1.4 per cent - around the first decade of the next century, followed about 10 years later by that of the Arabs in the territories". The natural increase of the Jews in 2012 was 1.52% which was 14.3% higher than in 1987 and 27.4% higher than in 2000. The Arabs natural Increase was 2.19% which was 21% lower than in 1987, but 33.7% lower than in 2000. The number of the Jewish Live Births was 125,492 in 2012, 77.2% higher than in 1987, while there were 40,080 Arab Live Birth, 58.2% higher than in 1987. But here one must take a look at the dynamics of the demographic development: the number of the Jewish Live births in 2012 was 36.5% higher than in 2000, while it was 1% lower for the Arabs. Actually, the number of the Arab Live birth has stabilized at around 40,000 during all the past12 years. The Arab Baby Boomers of the 1960s are about 50 years old already. It means that Arab Death rate started to grow, accelerating it towards the average level of the Jewish Death rate. It will sharply influence the Arab Natural increase rate making its decline even faster in the coming years. During the same period , the Jewish Natural Increase rate had been stabilized for the last 45 years and in 2012 it is almost the same, 1.52%, as it was in 1962 which was 1.55%. Taking into consideration the continuous annual addition of immigrants to the development of the Jewish Natural Increase will explain why the heralded “Demographic Doomsday” never came about and , I claim,definitely will not come in the future. Taking in consideration the demographic development in Judea, Samaria and Gaza Strip, I usually compare the estimates of the Palestinians themselves and of the US Census Bureau. It is clear for everyone, that all demographers agree that the Arab growth rate is decreasing steadily. I believe that even Lustick had paid attention to such well-known fact. Even while the US Census Bureau takes as their estimate that the migration balance from the Judea, Samaria and Gaza strip as 0, it still shows the decrease of the natural increase in Judea and Samaria from 3.01% in 2002 to 2.05 in 2012, 16.7% less in one decade. The picture is similar regarding the Gaza Strip - 14.5% less, from 3.58 to 3.06. In comparison,, the natural increase of the Arabs of Israel declined by 26.8%, while the Jewish natural increase rose by 27.5% during the same time period of 2002-2012. The Head of Demographic Department of the ICBS, Dr. Ahmad Hleihel, had admitted that the ICBS assumptions regarding demographic developments of the Jewish and Arab citizens of Israel were mistaken. "Ma'ariv" journalist Rotem Sela quoted him in his article published on 27.7. 2011: "We were mistaken in assessing the increase in the Jewish fertility, and on the other hand, the rate at which Arab fertility declined. I believe that the Arab population's fertility will continue to fall in the direction of 2-3 children". This conclusion of Dr. Hleihel actually confirmed the conclusions I made and published already 26 years ago. Now regarding Aliya and emigration. In the same Dan Petreanu article, Arnon Sofer was quoted saying as follows: "So, without even considering future birth rates, to make up one percentage point today we need an additional 170,000 Jews. Who among us really expects that sort of Aliya in the near future". Actually, the same failure of understanding of the current potential of Jewish Aliya can be seen now, if the rising new wave of the anti-Semitism in Europe, Latin America, etc., combined with the world economic crisis, is ignored or downplayed. Attempting to manipulate the numbers of the Jewish emigrants from Israel is also a failure. According to the ICBS the emigration rate from Israel is now on the lowest level in all 65 years of the Jewish State existence. Some remarks regarding Lustick's argumentation as to my forecasts from 2007 for the possible growth of the Jewish population in Israel and the Jewish Aliya to Israel till 2050 are in order. I presumed that the natural increase will continue to be 1.27% and, together with Aliya numbers, the annual increase would have been 1.42%. Lustick wrote that my assumption made in 2007 that there will be Aliya of 10,000 Jews annually till 2050 is not real. Let's see what really happened during the years of 2007-2012. The annual increase of the Jewish population was 1.83%, which was a 28.9% increase, higher than my own assumption. The total number of new immigrants during this time period was about 86,000 or more than 14,300 annually. That represents a figure 43% higher than my assumption. In my paper published by the IZS I had predicted that the Jewish population of Israel in 2012 will reach 5,878,820 people and the Arab population would be 1,614,415. Actually, in 2012 there were 6,014.100 Jews (a 2.3% increase above that projection) and 1,648,400 Arabs (2.1% more than what I projected). In any case, my mistake was just little bit higher than 2%, which is only a half of the 4% statistical error factor. I will not relate to the facts about the increased Jewish population. It appears to be more a moral problem for such persons like Lustick than a demographic problem of the Jewish State. It is enough for me that Prof. Sofer who only in 2002 talked about the demographic danger caused in State of Israel by”Arabs, Russians and Moldavian prostitutes", has changed his opinion and now declares that the members of the mixed families of the repatriates from the Former Soviet Union are a part of the Zionist majority in the State of Israel. It took him a lot of time and rivers of the young soldiers’ blood spilled on defense for Israel to understand it. However, also Prof. Sergio DellaPergola has different approach now to the definition ‘who is a Jew. 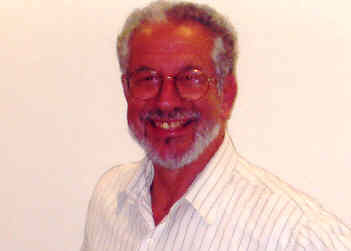 As he had written in his paper, "Jewish Demographic Policies", published by the Jewish People Policy Institute in 2011: "It seems that ways must be found to include and ‘embrace’ this population within the Jewish community, especially those who have integrated into the country, and whose children are in the school system and are serving in the IDF". It couldn’t be better stated. According to Mustafa Khawaja,Director of Jerusalem Statistical Department, Palestinian Central Bureau of Statistics: "The net balance of arrivals and departures for the West Bank in the period 1967 to the present has been consistently negative, with an average of about 10,000 leaving annually… the main reason for migration by Palestinians relates to the economic factors resulting from the political instability and the infighting between the Palestinian parties" as quoted from his work published by the Robert Shuman Centre for Advanced Studies, San Domenico di Fiesole (FI): European University Institute, 2010. Khaled Abu Toameh, "80,000 Palestinians emigrated from territories since beginning of year (a rise of 50 percent compared to last year), a senior Palestinian Authority official said Monday. The official, who asked not to be named, told The Jerusalem Post another 50,000 Palestinians are now trying to leave through the Jordan River bridges and the Rafah border crossing". Jerusalem Post, Aug. 26, 2002. The Egyptian journalist Bissan Edwan, published on April 16, 2004 the article in Arabic "Demographic bomb in Israel and the self-deception" this data: "According to Jordan statistics, at least 150 thousand Palestinians left the West Bank during the intifada years from 2000 to 2002 and did not return". Bissan Edwan comes to the conclusion that the economic situation in the Palestinian Authority causes the possibility of new waves of large emigration as it had happened during the Intifada. Bissan Edwan writes that the demographic factor will play a limited and marginal role in the future of the conflict. She mentions that the Jewish net migration was able to maintain a significant Jewish majority of the population in Israel and that the results of the higher Palestinian natural increase vanish because of the high rates of emigration, the increasing mortality and the successful programs of birth control that help lowering Palestinian fertility rates. There are a lot of facts that I bring in my papers to establish my case based on the international official Data bases and the researches of the Arab and other demographers, including the PCBS. It is difficult to somebody who isn't looking for truth to follow it. But this is an acknowledged fact by every objective researcher that the Arab and Muslim fertility is fast decreasing, not only in the Land of Israel, but across the countries in the Middle East. Another fact is that Jewish fertility is stabilized with some significant increase (temporarily, in my opinion, until, that is, the large part of the Jewish population will be finally absorbed in the Israeli nation) during the 2 last decades. The Arab TFR in Judea and Samaria is already equal to the Jews in general, the Israeli Arabs TFR is decreasing towards convergence with Jewish and even the Arabs of Gaza Strip are on their way to the same direction. It needs a higher moral level and integrity to be able to accept these facts than Prof. Lustick owns. And The News From Turkey Is ... Cloning? What Are Sacred Sites For in Jerusalem? Israel Flag at Site of First Explosion? Just Who Is Manipulating Demographic Data? Israelite Exodus Photograph - Found? Will The Railway Tracks Remain? This is The "Two-State Solution"? What Do You Mean A "Palestinian State"? Quiz: Which One is Yair Lapid? No US Pressure - Just a "Press"
Jerusalem is the Capital of ... the Holy Land? America House or, "Palestine House"?